On March 16, 2018 His Holiness, Patriarch Kirill of Moscow and All Russia led the meeting of the Supreme Church Council of the Russian Orthodox Church, which took place in the Cathedral of Christ the Savior, Moscow. In his opening address, the Primate of the Russian Orthodox Church noted that the agenda included, in particular, the issue of the organization of house churches in higher educational institutions. 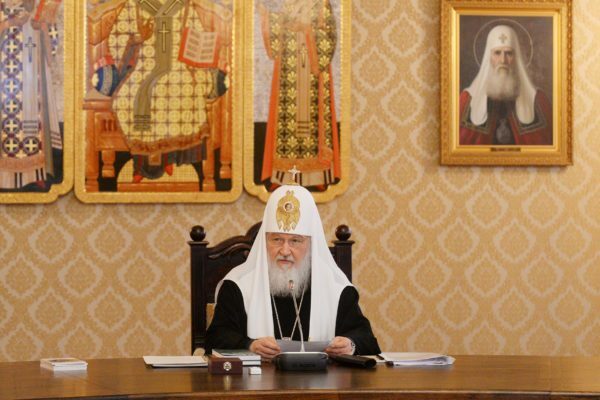 “It is important that the dialogue of the Church and society be carried out at the university level as well, helping the younger generation, future scientists, the future elite of our society to understand what the Church is doing today, what the purpose of its mission is, what is happening inside the Church,” summed up His Holiness, Patriarch Kirill of Moscow and All Russia. This article was translated from Russian by Alexey Malafeev.